Ok, I know it's not mine, but I will develop a permanent twitch if I have to explain how we live on a shared property every time I talk about it. No one likes a twitchy Ashley. Things might get a little weird now. I was in exploring the big old bank barn the other day, and although it's full of mud and cobwebs and racoon poop and old hay, it could easily become my happy place. Putting on my boots and walking through the door, traipsing down the dirty aisle, pushing open gates, unlatching doors, imagining feeding and watering animals of some sort and cleaning up their mess...it felt good, like it's something I'm supposed to be doing. Not supposed to be doing because it's part of being a functional adult like vaccuuming, but something that my soul feels like it should be doing. And now I feel all awkward and dirty for talking about souls and purpose. Insert Hank Hill-esque shudder here. Blerg, feelings. 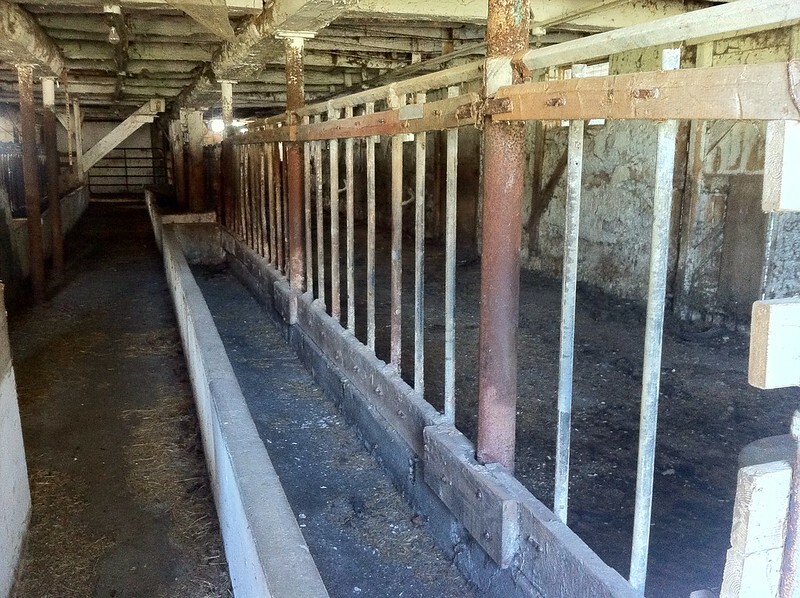 It needs a good scrub down, but it will never be one of those fancy barns you see in pictures. And if I'm ever going to have something like chickens in here, I'll need to do a bit of retrofitting to make sure no racoons (or cats) have a feast. It's a job for next spring, because with us still needing to finish and sell our old house, everything that I would like to do at the new place is staying firmly in the dream stage. Except for the horseshoe pit. We're building one of those soon. 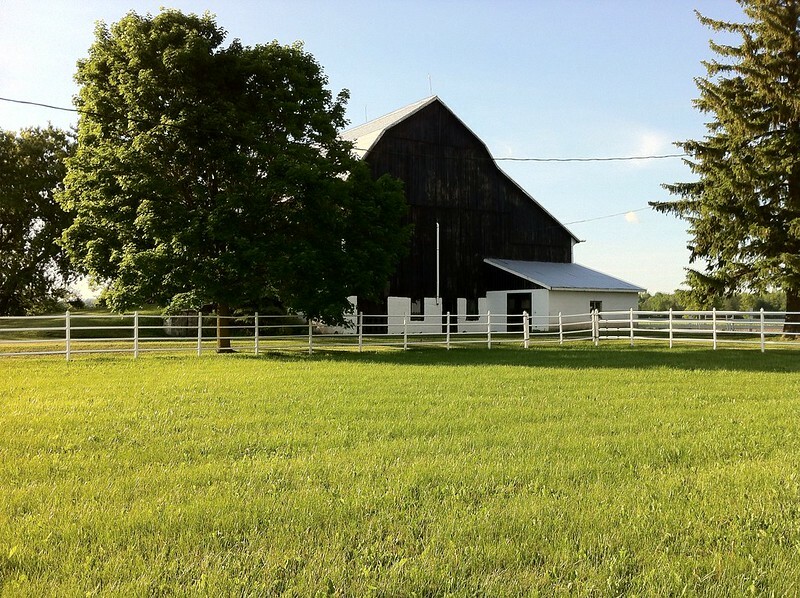 I shared this post at the Homestead Barn Hop #115.